I need some help with this because I am getting so disheartened and worried I will never find my perfect Christmas day dress! I have walked up and down a couple of high streets in different towns in search of my Christmas perfection, I'm not quite sure what it is so I can't describe it to you but I will definitely know it when I see it. I understand this is very vague, but come on we have all been there, the "I will know it when I see it" feeling. I'm not sure if it will be sparkly, shiny, long or short but I do know I haven't found it yet. I want it to look special and I want to feel pretty in it, and I don't want it to be too tight so I have to worry about breathing in all day because after all Christmas day is a lot about the eating! 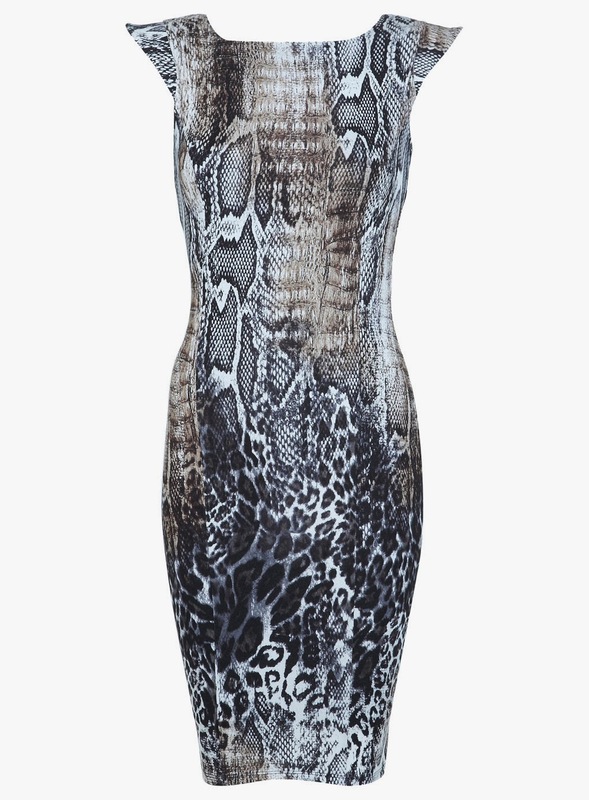 The closest thing I have found was a snake print dress from Miss Selfridge that I saw in the window but I wasn't so keen on the fabric when I saw it up close. This has mysteriously vanished from their website now which makes me a little more nervous in case that was supposed to be "the one" and I was just over analysing things! Please tell me some of you guys also get so stressed about picking out an outfit, I'm too scared to commit to something in case I see something better. Panic over the dress hasn't vanished, here is said dress. What do you think of the dress? Should I find something with a little more sparkle? Have you already chosen your Christmas day outfit?